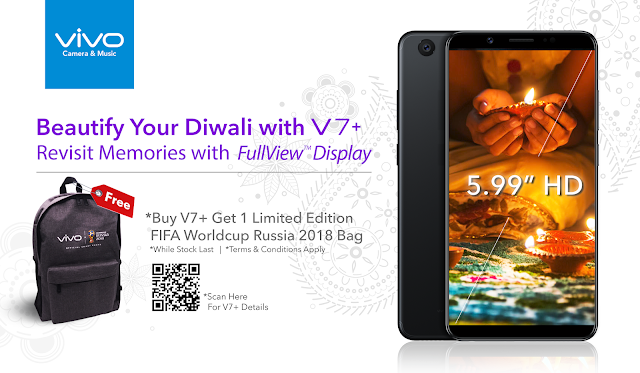 From 12 October until 22 October 2017, customers who purchases vivo V7+ at any vivo concept stores, either at Senheng & SenQ, Courts or Harvey Norman outlets are entitled to a free limited edition of FIFA Russia 2018 backpack bag. The freebie is redeemable while stocks last. Customers can also enjoy a variety of promotional offers on vivo smartphone series during the promotion period from 15 October until 31 October 2017 at online marketplaces including Lazada, 11Street, Shopee, Shoppu & PGMall. vivo’s V7+ ambassador, Janna Nick will be hosting a sharing session on vivo’s Facebook page. Janna will share details of the vivo V7+ as well as her journey as an artiste. In addition to that, she will pick 2 lucky winners from the live audience to give away a pair of Air Asia Travel Voucher worth total RM2,000. Other than that, 5 pairs of G-shock wristwatches & vivo merchandise with Janna Nick’s autograph will also be given out during the live session. A selfie contest has also been announced since the launch of the vivo V7+. To join the contest, customers would need to take a selfie by showing a sign of “7” and share it under the comment section of the contest post itself at vivo Malaysia’s Facebook page, as well as their personal Facebook account along with respective hashtags plus creative caption. Contestants need to set their post as ‘Public’ and a lucky winner with the most creative caption will be chosen each week to receive the all new 24MP selfie smartphone – vivo V7+. 4 other winners with the most creative entry will also be chosen each week to receive a vivo gift pack. The contest is open to all Malaysians and will run from 16 October until 31 October 2017.
vivo will be hosting an exclusive Diwali Selfie Experience at the Batu Caves temple on 18 October 2017. The event would be held in the vicinity of the temple from 9.30am to 1.00pm, and is open to the public. Exclusive vivo merchandise with vivo Selfinista, Janna Nick’s autograph will be given out throughout the event. Malaysia’s first reality television singing competition – Akademi Fantasia will be having its 7 finalists to compete against each other in the running to be crowned as the next champion of Akademi Fantasia Megastar. On 14 October and 21 October 2017, the behind-the-scene video of Akademi Fantasia will be uploaded to ivo Malaysia’s official Facebook page and online users may participate in the “Share n Win” Contest to grab exclusive merchandise from Akademi Fantasia. 3 winners will be announced the following Monday on vivo Malaysia’s Facebook page. As the main sponsor of Akademi Fantasia, vivo will be setting up a voting poll on vivo’s official social media channels from 16 October 2017. 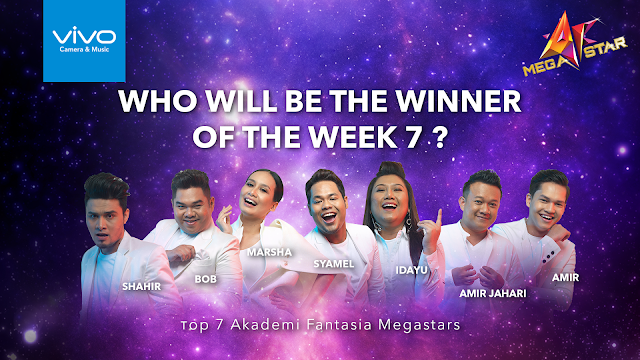 Akademi Fantasia fans are encouraged to predict the upcoming champion and one lucky fan will be picked randomly and will receive a brand new first ever 24MP selfie smartphone – vivo V7+. The winner will be announced on vivo Malaysia’s official Facebook page on the following Monday after the screening of the show. Saving the best for last, vivo is debuting its new budget-friendly smartphone, the Y69 in Malaysia on 13 October 2017. vivo Y69 smartphone comes with a 5.5-inch HD IPS LCD Capacitive touchscreen display with a resolution of 720 x 1280 pixels at a pixel density of 267 pixels per inch. The vivo Y69 is powered by 1.5GHz octa-core MediaTek MT6570 processor and comes with 3GB of RAM. The phone packs 32GB of internal storage that can be expanded up to 256GB via a microSD card. As vivo Y69 also packs a 13-megapixel primary camera on the rear and a 16-megapixel front shooter for selfies. The Vivo Y69 runs on Android 7.0 and is powered by a 3000mAh non removable battery. It measures 154.60 x 75.70 x 7.70 (height x width x thickness) and weigh 162.80 grams. vivo Y69 comes in two colour variant option: Black & Gold. 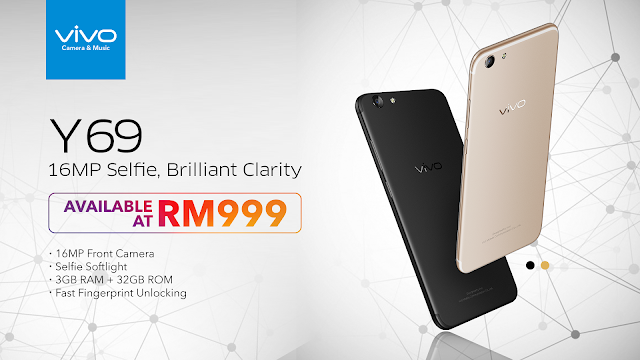 Customer can pick their favourite in any vivo concept stores or collaborative partners’ outlet for a price of RM999.